No matter what type of loss you're faced with - Water, Smoke, Mold, Sewage or Trauma, our team of professionals will deliver a quick response time, superior workmanship and most importantly, compassion. In case of a disaster you need a reliable company to stand by you and provide the entire array of services required for the damage restoration at hand. 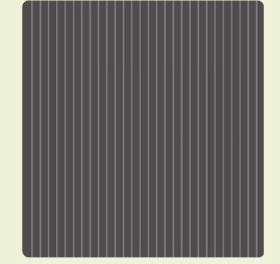 Feel free to call us and inquire about our restoration services. 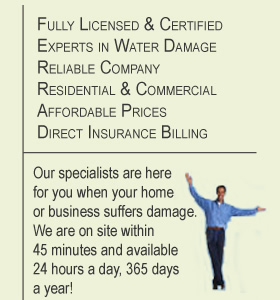 911 Water Damage Customer Service is standing by to help! We provide FREE visual mold inspection as well as FREE inspection for any type of damage. Whether it`s brought on by a natural disaster, a burst pipe, or an accident caused by simple human carelessness, water can have a damaging effect on your property and personal belongings. 911 Water Damage has over a decade of successful water extraction and drying experience, local and national teams who have seen jobs ranging from carpet drying to disaster recovery and all this backed by a fleet of speciality vacuums, dehumidifiers, air movers, air scrubbers with HEPA compliant filtration. We know exactly how to properly assess the damage and fix the problem. 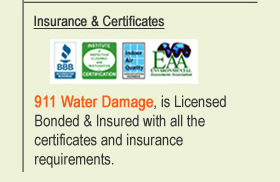 At 911 Water Damage our certified technicians have all of the tools necessary to take care of the job. We carry out the task to perfection in less time than it would take an amateur to attempt the process on their own. Water damage restoration needs to be attended to immediately and thoroughly in order to avoid the onset of mold growth and its potential health complications. After a fire rips through your home or business what's left behind is undeniable damage of smoke and soot. Yet, such damage should not go unattended, it should be quickly acknowledged and then removed. The removal of smoke and soot damage itself must be done immediately, as swift as possible and with a great deal of detail. That’s why at 911 Water Damage we feel that it`s our responsibility to help you get things back to normal as quickly as possible. Don’t leave something as important as your home and your health up to chance; instead, call 911 Water Damage and learn how you can get your life back with as little hassle as possible.